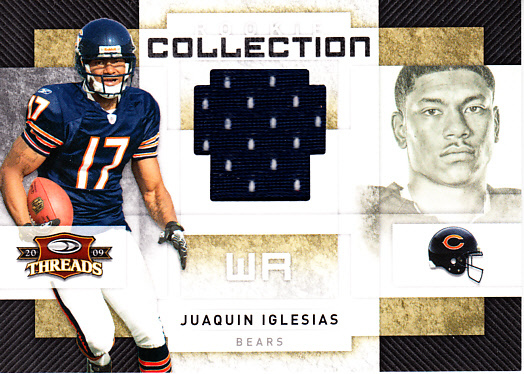 2009 Donruss Threads Rookie Card with swatch of event worn game jersey of former Chicago Bears (and Oklahoma Sooners) wide receiver Juaquin Iglesias. 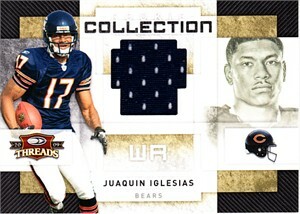 Numbered #90 of 500 on the back. NrMt-Mt or better condition. ONLY ONE AVAILABLE FOR SALE.